Despite heavy competition from connected industries such as building construction and engineering consulting industries, the architectural services sector is projected to reach $7.1 billion in annual revenue in the next five years. If you are one of those who is looking for competent marketing database to explore growth opportunities in this sector, Blue Mail Media’s Architectural Services Industry Email Database can significantly shore up your marketing efforts. 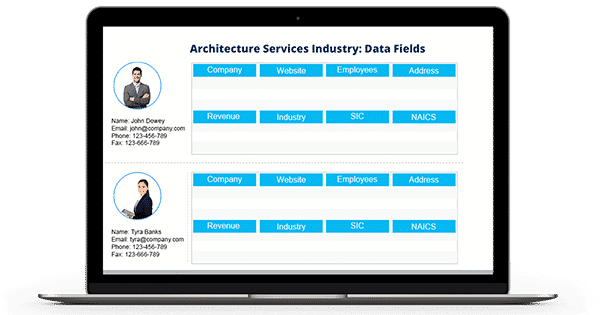 Blue Mail Media’s Architectural Services Mailing List is highly reliable and has been designed in a comprehensive manner to help you implement your multi-channel marketing efforts flawlessly. Whether you wish to connect with your prospects via mail, email or telephone, our database will give you access to all the relevant information to meet the purpose. We house a skilled team of data specialists who leave no stone unturned to make sure our data remains free of errors and help you achieve a better response rate, conversion rate, and eventually better ROI. Blue Mail Media has a strong partner network spread across USA, UK, Europe, Canada, Russia, China, Germany, India, Australia and others, which enables us to help our clients without regional barriers. Our clients enjoy greater flexibility as they can choose from our pre-packaged list of Architectural Services executives or get a custom list configured as per their marketing objectives.